BMW M6 Gran Coupe – Dial M for Marketing? EngageSportMode has a little bit of a love/hate relationship with BMW. Hate is, probably, too strong a word. Instead try an underlying suspicion that it is selling its values up the river slightly. For every car such as the 1M Coupe, M135i or Z4 comes something like the X6, 5-Series GT or 6-Series Gran Coupe. ESM is not a fan of any of the last three, as you may be able to tell from a rather subtle article last year. Utilising the same twin-turbo 4.4litre V8 as its M5 and M6 brethren, the Gran Coupe comes equipped with a useful 560 bhp and 502 lb-ft of torque. Funnelled through a 7-speed DCT dual-clutch gearbox, this is enough to propel the Gran Coupe from 0-60 mph in 4.2seconds, and on to a limited 155mph. An optional extra exists to up this limit to 190mph, which is an effective way of charging money to untick a setting hidden away in the car’s ECU. Or could this be it? Nope, M6. Whilst it is difficult to argue that the M6 Gran Coupe isn’t a handsome beast, you really have to wonder whether it really justifies an additional £25,000 over the M5 saloon. It may be more swoopy, but it only has four seats compared to the M5. It might hit 60mph quicker by 0.1 of second, but it’s chassis is seemingly tuned more towards comfort. A carbon fibre roof might suggest racey performance, but even BMW admits this car is intended to be more luxurious than any other M-car with it’s, wait for it, “ambience”. 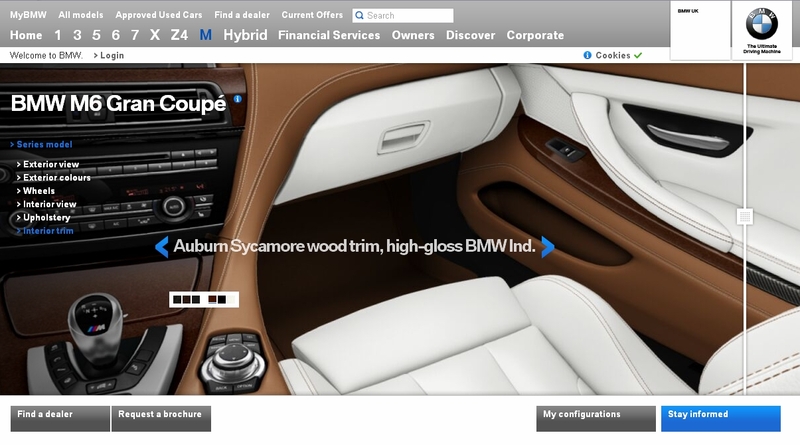 Use of the word “ambience” and “luxury” in relation to an M-model sends a slightly cold shiver down my spine. Yes, vehicles such as the legendary E39 M5 were comfortable, but not to the point of eroding it’s razor-sharp edginess. The fact that the M6 version has seemingly been dialled back for comfort, makes it an even more confusing prospect than the regular Gran Coupe. Perhaps if I had £100,000 sat ready to spend on a new car I’d think differently but, in my enthusiast’s head, I struggle to understand the reasoning behind the M6 Gran Coupe, other than as a marketing exercise. Although after the X6 M, it seems nothing is truly sacred in Bavaria anymore. BMW may have returned to using the Ultimate Driving Machine tagline, but its products do little to support that notion today. You have to pay extra for this. I suggest you don’t. Oh dear. Little bit too much ambience going on there I feel.